Inspectors in one North Carolina county oversee dozens of adult care homes, but facilities there received no state penalties for years, even against facilities operating at the lowest level. In another location, county officials worked with the state to close a troubled facility. In yet another county, an adult care home with a history of repeated violations made a new serious mistake, resulting in a potentially deadly situation. These are real-life examples from the estimated 1,200 private adult care home facilities across the state, businesses that exist to provide 24-hour care to residents with substantial medical issues, including mental illness. But who is responsible to make sure these facilities meet state health and safety housing guidelines? And what happens when problems crop up? According to North Carolina law, adult care homes face strict guidelines for licensure and are subject to repeated surprise inspections by state and county officials. A 6-months-long investigation by Carolina Public Press revealed, however, a web of concerns surrounding the monitoring and inspection of these facilities. Carolina Public Press visited facilities across North Carolina, from Bryson City and Taylorsville to Raleigh and Wilmington to Statesville and Clinton; interviewed close to two dozen local and state officials charged with monitoring facilities; and inspected three years of public information on every facility operating in the state. The investigation revealed that, despite a complex and costly system designed to keep the state’s adult care home system running smoothly, very serious complaints and incidents persist, with residents neglected, mistreated or even abused, according to state records. And an analysis of the state’s methods and process for inspecting and penalizing those facilities shows results to be inconsistent at best, and — at worst — ineffective at safeguarding residents’ safety and quality of life. Sometimes, the system seems to work as advocates and inspectors say it should. Take Cornerstone Living Center of Bryson City, for example. 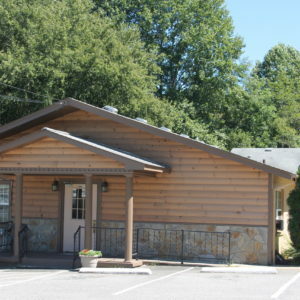 According to data from the N.C. Division of Health Services Regulation, Cornerstone is the only adult care home in Swain County. But this is not quite accurate: At the moment, no adult care homes exist in Swain County, a largely rural and mountainous Western North Carolina county that’s also home to the Eastern Band of the Cherokee Indians. “It needed to close,” Swain County Department of Social Services Director Sheila Sutton told Carolina Public Press, when asked about Cornerstone, which once housed up to 50 people. The facility received citations for a range of problems, including insufficient staff for the number of residents and improper administration of medication. Carole Maennie, the adult services supervisor in Swain County, handled the county’s inspections of Cornerstone before it closed. When she realized the seriousness of the problems, she did not hesitate to contact the state for help, Maennie said. 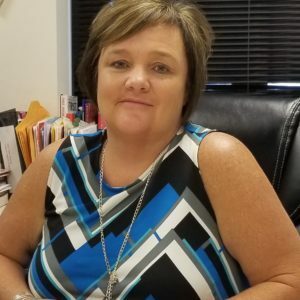 Most social services agency representatives interviewed agreed that the relationship between the county and state regulators responsible for overseeing adult care homes should be “collaborative,” a term N.C. Department of Health and Human Services spokesperson Cobey Culton also emphasized. Ultimately, Cornerstone closed on Sept. 15, 2015, and received some of the heftiest fines of any facilities in the last three years, Carolina Public Press found. But the closure created another headache for the Swain County Department of Social Services. With no other another adult care home there, staff worked with nearby counties to find housing for Cornerstone’s former residents. The old building has been demolished and today a new property owner is building a new adult care home on the site, with what are expected to be state-of-the-art features. Outcomes in other cases Carolina Public Press explored seemed more muddled. 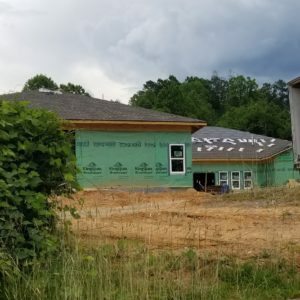 Last year, Carolina Public Press reported on a Buncombe County company, then incorporated as “Nutz R Us,” which operates three family care homes in Asheville: Haywood Heights Family Care Home, Deaverview Heights Family Care Home and White Fawn Family Care Home. Family care homes are smaller adult facilities that house a maximum of six residents, according to state regulations. Inspections in 2015 and 2016 cited each of the company’s homes for violations ranging from a failure to give a schizophrenic patient his medication to unsettling conditions in dining and food preparation areas. No fines were issued, but inspectors docked the facilities on the state’s star rating system, which is independent of fines and licensure. This was all that state statutes allowed Buncombe County social services agents and N.C. Division of Health Service Regulation surveyors to do, spokesmen for both agencies said at the time. Even though government officials who worked with the company’s incorporation status and licensure said they found the name appalling, no state statute prevents it. Inspectors were also unable to consider a series of social media posts in which a Nutz R Us staffer joked with her colleagues and friends about the company’s name and her treatment of an “old man” whom she was required to bathe. After Carolina Public Press’s report, however, its existence gained broad attention. A short time later, the company changed its corporate name to White Fawn. Repeated requests for comment have not been answered. Today the White Fawn company continues to operate the three homes, each of which currently has three out of four stars. Durham County is home to 47 adult care homes – the fifth-highest number of any county in the state. But despite regular county and state inspections, records show that the state Division of Health Service Regulation hasn’t issued a single financial penalty to any adult care home there in the last three years. While Durham has two zero-star facilities, the rest all operate with three or four stars. How unusual is it for a large county to have no penalized adult care homes? Forty-one of the state’s 100 counties did not issue any penalties against adult care homes during this time. Most were small counties with few or no facilities at all. Durham with 47 adult care homes. Durham County had nearly three times the number of adult care homes as any other county where the state levied no adult care home penalties. “The Durham County Department of Social Services Adult Home Specialists, proactively work with our adult care homes by monitoring them on a monthly basis,” the agency told Carolina Public Press in a prepared statement. “We provide technical assistance to facility administrators and staff and, work closely with our DHSR consultants to ensure that best practices are adhered to. 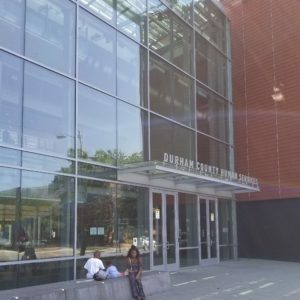 “Durham County DSS has also provided training to facility administrators and staff, with Continuing Education Units provided to them, per DHSR’s approval. The intention is to maintain a high level of commitment and involvement of all parties. Does the inspection system work? “I think we have a good system in place,” Sampson County DSS Director Sarah Bradshaw told Carolina Public Press. Although she supports some minor changes that have come over time, such the development of closure procedures under former N.C. Department of Health and Human Services Secretary Aldona Wos, Bradshaw sees such tweaks as only making an excellent system that much better. Some advocates allege serious lapses in the state’s adult care home system, from an insufficient regulatory structure to an overarching philosophy that leads to people with mental illness being what they described as “warehoused” – and then forgotten — in adult care homes. 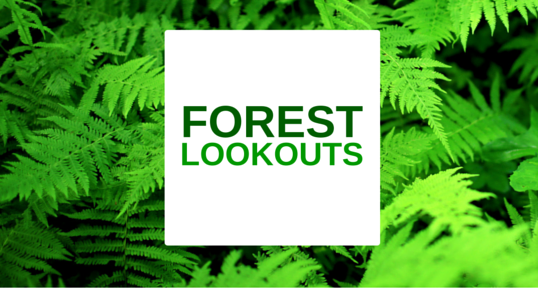 Problems at facilities may be brought to light through county and state inspections. In other cases, county agencies send adult home specialists to a site when they receive a complaint, which may include a report of an incident. Carolina Public Press’s analysis of state records on the facilities with the largest penalties found that the most serious violations were often caught during these complaint responses. But even though county social services adult home specialists visit facilities more frequently, and are often the first to identify deficiencies, that information has to be passed along to the state, which will decide on possible closure or imposing any financial sanctions. That process takes time and is so onerous that problems at facilities can pile up before they’re dealt with, according to senior long term care regional ombudsman Julia Gibson, who works in Western North Carolina with the Area Agency on Aging. County department of social service agencies also operate nearly autonomously, with the state providing limited oversight. That independence can lead to differing interpretations of and regulations and to sporadic enforcement of those laws. “Each adult home specialist has their own way about them in terms of being consistent,” Gibson said. Teresa Gardner is one of two adult home specialists in Johnston County. She told Carolina Public Press that she believes a return to better training for county adult home specialists would be valuable. Teresa Gardner is one of two adult home specialists in Johnston County, which oversees 33 adult care homes. Frank Taylor / Carolina Public Press. At one time, Gardner said, new county adult home specialists were invited to shadow experienced state surveyors to help them learn the ropes. She blamed funding cuts for eroding this practice. Gardner, who has been doing this work for 18 years, said she has offered to have new staff at nearby counties shadow her as a courtesy. 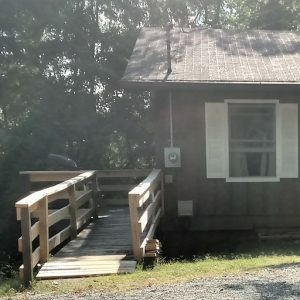 Asked about inconsistencies, Bradshaw, in Sampson County, disputed the idea that agencies don’t have enough guidance and described a spirit of open collaboration and cooperation among agencies and state officials. She pointed to the statutes that lay out the separate, but related, responsibilities of county agencies and the N.C. Division of Health Service Regulation, and she questioned how major inconsistencies could exist when everyone is supposed to follow the same laws. 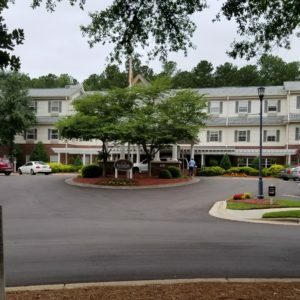 Those laws state that an adult care home will face repeated surprise inspections — at least annually from the N.C. Division of Health Service Regulation and quarterly by the county social services office. In addition, county officials are required to respond to complaints whenever they arise. State statutes task county social services agencies with “routine monitoring in adult care homes to ensure compliance with state and federal laws, rules, and regulations.” Although the law says counties must inspect the facilities quarterly, several counties described doing them every other month or monthly. The number of the adult care home specialists varies by county. Wake County has the most adult care homes in any single county in North Carolina, and it employs seven people to inspect those 93 facilities. In smaller counties, this work might fall on one person who may also has other assigned duties. Some surveyors look specifically for construction type issues, such as structural damage, broken fixtures, improperly locked or malfunctioning doors and windows, documented safety plans and other issues that could pose a hazard. Others review issues related to appropriate care, including attentiveness, healthy meal plans, round-the-clock accessibility of nutritious snacks and water, adequate provisions for disabled residents, administration of medication, documentation that staffing ratios are in order and similar issues. North Carolina law doesn’t require direct collaboration with counties, but some county-level social service agencies told Carolina Public Press that they customarily received advance notice of the “surprise” inspections being conducted in their counties, with an invitation to participate in the inspection. “DSS often accompanies DHSR on annual, biennial and follow-up surveys,” Culton said. However, one county agency’s staff members described this courtesy as one that has eroded over the years. In the past, they said, a county might be advised several weeks in advance if an inspection was planned, giving county staff time to adjust their schedules. But in recent years that advance notice has typically declined to just a day or two. Does the star system matter? For the general public, the star system is likely the most familiar way to quickly see the quality of care a facility may provide. But the state’s adult care home star ranking system, according to Carolina Public Press analysis of public records, appears to have little consistent or reliable meaning. The star system grants a facility between zero and four stars (zero, being the worst and four being the best). Advocates for residents say it’s mainly used by higher-end adult care homes to market themselves. The ratings are created by inspectors’ ratings worksheets, which, in practice, offer less detail than deficiency reports. These will show certain types of immediate punitive actions, such as suspension of new admissions or revocation of a license, which will not always show up in the more detailed reports on deficiencies. In practice, however, the law stipulates specific criteria that translates into an inflexible numeric scale for awarding stars. Both the criteria and the way they’re applied may be different from those that are used later in determining fines or penalties. While based on a theoretical 100-point scale, facilities can achieve a numerical rating above 100 or below 0. Each type of problem found results in a demerit from a potential score of 100. Positive findings can award points as well. If a facility receives 100 or more points in at least two consecutive surveys, it can receive a four-star rating. A score of 90.9 to 99.9 (or more but not in consecutive inspections) results in three stars. Scores of 80.0-89.9 are worth two stars, while 70 to 79.9 is worth just one star. Scores of 69.9 or less result in zero stars. 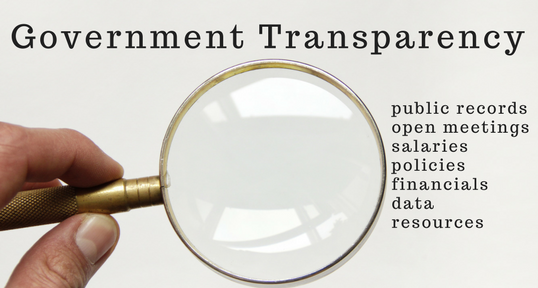 CPP found that among the 1,200 facilities operating in the state, the most up-to-date information from the state identified 43 facilities with zero stars. This includes some facilities whose licenses have been revoked, but others that are currently operating. But rather than low star ratings triggering state action, as might happen with other ratings system such as for restaurant conditions, state crackdowns on adult care homes precede demerits. For instance, if the state suspends new resident admissions at a facility, it receives at 10-point demerit, while revocation of license results in a 31-point demerit. Low stars can matter after a loss of license, because facilities may petition to reopen. Penalties v. stars – which is important? Once the state reviews inspection reports, the N.C. Division of Health Service Regulation decides whether to impose penalties, typically fines and orders for special training of the adult care home staff. The state agency could send its own team to a facility for a follow-up visit, but it may also decide to act on a county’s recommendations without sending its own team. Wake County adult care specialists said the state will typically issue a penalty based solely on their reports, without any state agents going to a site to observe for themselves. For instance, Sunrise Assisted Living of North Hills in Raleigh is one of the state’s most heavily penalized facilities, with more than $82,000 in fines over the last three years. While it did briefly drop to zero stars in late 2015, following an inspection in March it was back up to three stars. Yet the state continued issuing new fines to Sunrise even while awarding it new stars. In the case of the steepest penalties, assessed in September 2016, the Division of Health Service Regulation found that Sunrise had failed to correct issues identified previously, leading to injuries and “escapes” by residents. Penalties typically lag well behind other actions. In several cases, penalties have been issued to facilities that have already closed voluntarily or had their licenses revoked. Such penalties can affect owners who may later petition to reopen. 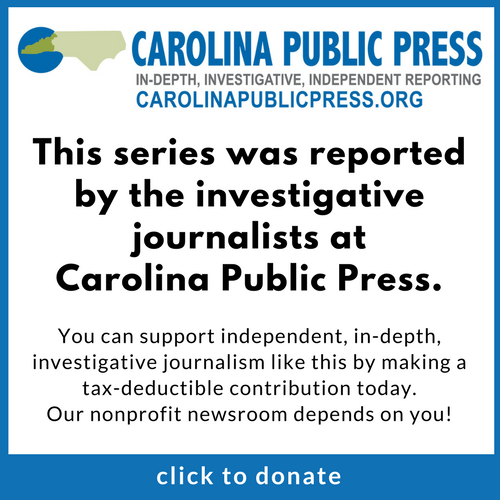 In a few cases that Carolina Public Press examined, the most serious violations have not yet led to any financial penalties, but based on previous patterns, financial penalties can be expected, likely severe ones. 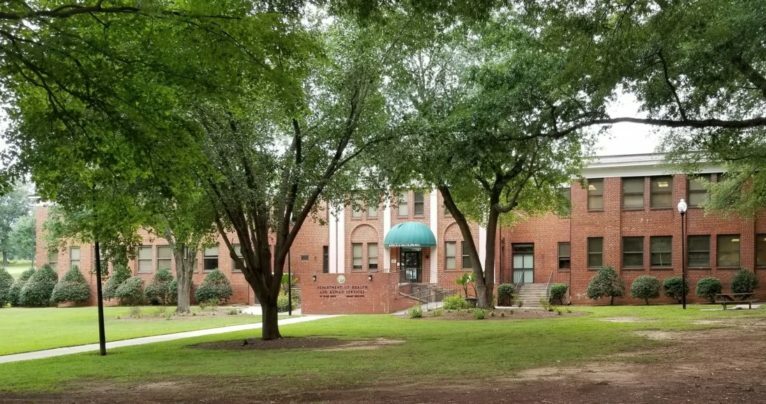 In the case of Clinton House Assisted Living, located in Sampson County, thick reports on deficiencies came after county complaint inspections in October and December 2016, after which the facility’s license was revoked. But the only fines against the facility so far predate those two inspections. Even when penalties are enacted, they may not hold. In the past, an advisory Penalty Review Board often recommended reduced penalty amounts or substituted training for portions of fines. In 2016, the N.C. General Assembly eliminated this board. Now appeals are handled through mediation are no longer open to the public. Reaction to eliminating this board has been mixed. Some advocates and news media have criticized the move for eliminating an avenue for public comment about problems at adult care homes. But others have pointed to the Penalty Review Board’s frequent recommendation for reduction of fines, suggesting it was an ineffective institution. On the other hand, because the board was only advisory, final decisions on fine reductions went through the Division of Health Service Regulation. Without the review board, some facilities have turned directly to the courts to oppose penalties. In one recent case in McDowell County, the court sided with an adult care home company, ruling that proposed state action was not consistent with treatment of other adult care homes with similar issues. Another recent legislative change related to penalties affects adult care homes that seek to reopen after being closed. They will now have to pay off any fines before their petition will be considered. 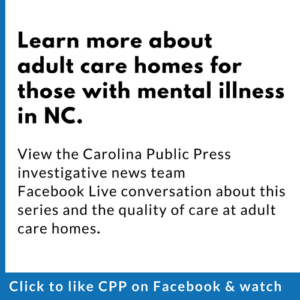 The issues Carolina Public Press’s investigation identified with the effectiveness of the state’s adult care home monitoring system were many, but generally came down to inconsistency. Widely divergent results with no reasonable explanation point to the different approaches counties are taking. State law does provide ways for the N.C. Department of Health and Human Services to crack down on county agencies that aren’t doing their jobs properly, DHHS spokesman Cobey Culton said. But asked about how often the state has exercised those tools, he said that hasn’t happened recently. Corye Dunn, director of public policy for Disability Rights North Carolina, offered a stark assessment. “The bifurcated system of oversight by both DHHS and DSS authorities is unevenly effective and does not have sufficient accountability built in,” Dunn said. There are going to be issues in any system like this. Thankfully most staff who choose this profession perform great work and have compassion for residents. Most really strive to offer good care. It’s tough work. Facilities that are well run will proactively incorporate input from residents. They are a blessing to communities and the individuals they serve. I have been in facilities where the state survey team were called in but I have yet been asked any questions by them. Why don’t they do extensive confidential interviews of residents who are able to share more details than the documented care shows? Too often the care sheets show care thats not actually being done.These records are too easily falsified when residents are actually being neglected. This practice of false charting is practiced everywhere. Years and years ago when I did CNA work, we were told we had to falsify all those charts. There were usually on 2 of us to care for 75-80 residents and many times I cared for all of them when one of the other CNAs was out. NHs are about greed, not care.